A big thank you to former resident Ken Bruce for his gift of a set of copies of his photos of Berowra in 1960. 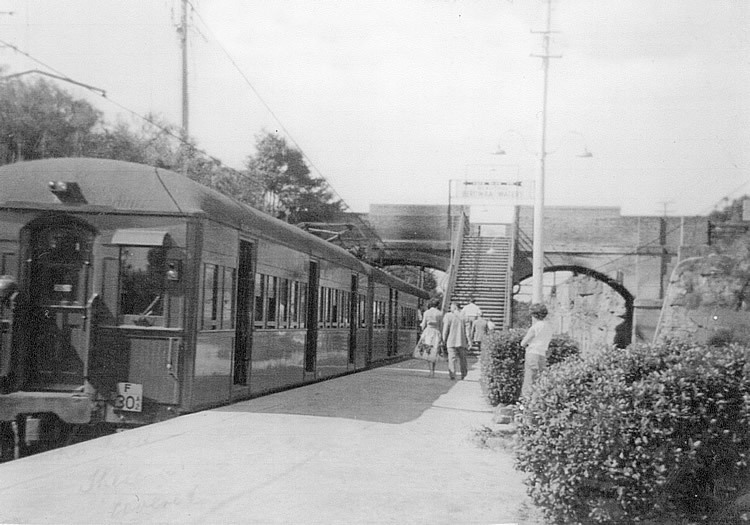 Ken captured this image 55 years ago at Berowra Station, looking north to Cowan. The electrification of the line had happened in 1958. Here we can see a now infamous “Red Rattler”, a far cry from our much more comfortable trains of 2015. Note the clothing of the various passengers who have left the train at Berowra and the woman standing and waiting perhaps for another train or another passenger.